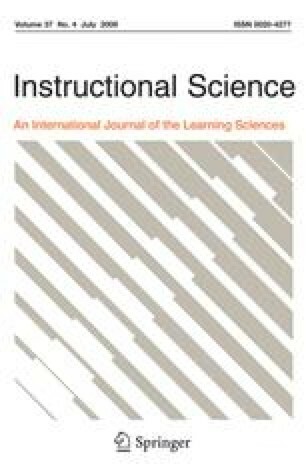 The general background of this study is an interest in how digital tools contribute to structuring learning activities. The specific interest is to explore how such tools co-determine students’ reasoning when solving word problems in mathematics, and what kind of learning that follows. Theoretically the research takes its point of departure in a sociocultural perspective on the role of cultural tools in thinking, and in a complementary interest in the role of the communicative framing of cognitive activities. Data have been collected through video documentation of classroom activities in secondary schools where multimedia tools are integrated into mathematics teaching. The focus of the analysis is on cases where the students encounter some kind of difficulty. The results show how the tool to a significant degree co-determines the meaning making practices of students. Thus, it is not a passive element in the situation; rather it invites certain types of activities, for instance iterative computations that do not necessarily rely on an analysis of the problems to be solved. For long periods of time the students’ activities are framed within the context of the tool, and they do not engage in discussing mathematics at all when solving the problems. It is argued that both from a practical and theoretical point of view it is important to scrutinize what competences students develop when using tools of this kind. The research reported has been funded by LearnIT, the research program on learning and ICT of the Knowledge (KK) foundation. The work has been carried out within the Linnaeus Centre for Research on Learning, Interaction and Mediated Communication in Contemporary Society (LinCS). This article was written while the third author was Finland Distinguished Professor at the University of Turku.